The snow was exactly how I had imagined it to be - pristine white, soft, and utterly beautiful. It was our first time to see snow and we were off on a skiing adventure. Skiing, on the other hand, was NOT how I had imagined it to be. If you're a first timer/beginner and are planning your first snow adventure at Mt. 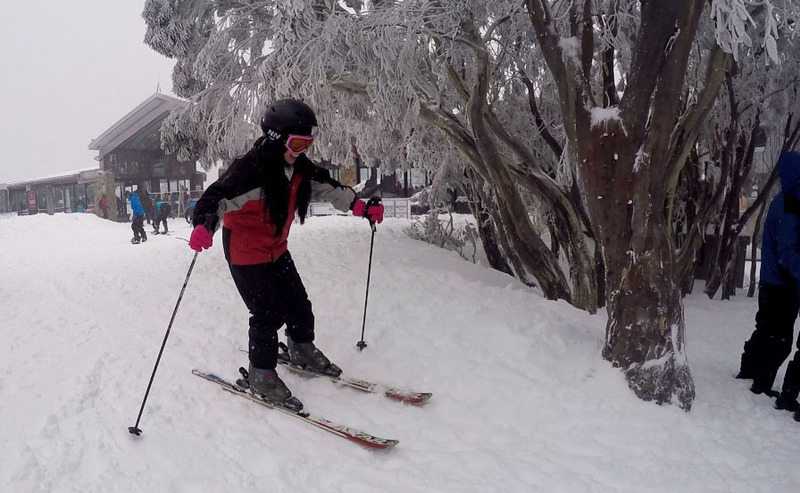 Buller, then read on for a detailed copy of our itinerary and budget breakdown. While winter in Australia is between June-August, I hear the best time to go is in July. We went on the 13th of July and it was perfect timing as there was snow fall the whole day. And for someone who has never seen snow, to experience actual snow falling from the sky was all I could ask for. God blessed our trip with the perfect weather as the day before we went, there was a blizzard (which caused the ski area to be closed for half the day), and the day after we went, the sun was out with no snow fall (although the snow on the ground would still be thick enough to ski on). Take into consideration that the weather might not be what you expect. Our group of 14 drove all the way from Adelaide in 3 separate cars. But honestly, if money was not an issue, I'd rather fly. If you check out the itinerary below, we spent more than a total of 24 hours on the road on this trip. If you're coming from Melbourne, there is a 3.5 hour bus ride that will take you to Mansfield. Allow another 2.5 hours to get from Mansfield to Mt. Buller. Although Google maps says it'll only take you 3 hours to get to Mt. Buller, trust me, that's highly inaccurate as it took as an actual 2.5 hours instead of supposedly 50 mins to get to the ski area from Mansfield. We opted to rent a self-contained accommodation at Mansfield, which seems to be the closest town. We booked with Robyn's Nest with no regrets (Thanks for planning this trip, Anna!). The house was spacious, modern, clean and everything you could ask for - at an extremely affordable price. I wore Kathmandu ThermalPlus thermal leggings and top, fleece jacket, thermal socks, and joggers on top of my leggings. Honestly, you'd think I was sponsored by Kathmandu. Lol. I then donned the rental ski jacket, pants and boots. Put a beanie on, then the helmet, and goggles. The goggles allowed me to keep my eyes open while the snow was falling. Otherwise, I had to keep closing my eyes as the snow fell on my face. Kept a scarf handy which I definitely needed to cover the area below the goggles as we rode the ski lifts. Up in the air, the wind plus snow was intensely blowing on our faces and the area around my mouth needed a lot of moisturizer after. All in all, the layers of clothing allowed me to feel like I had my own little warm cocoon except the toes and fingers sometimes felt frozen. 12 NN - After 5 stopovers for toilet/stretching/breakfast breaks, we finally arrived at Mansfield, where we decided to have lunch at Noodle House. 1:30 PM - Now re-energized, we walked to Discount Ski Hire where we fit and rented our gear. It was perfect timing as you can "pick up" your gear after 2 PM for use the next day (so you only pay 1 day gear rental). 3:00 PM - We drove to our accommodation which was only 2-5 minutes away from Mansfield's commercial area. Our initial plan was to drive to Mt. Buller in the afternoon but it was too late and we were exhausted. 10 PM - After dinner and games, it was time for bed. 5:30 AM - Early wake up time for breakfast and an early drive. 7:00 AM - Right on schedule, we left our accommodation to drive to Mt. Buller. According to Google Maps, the drive to Mount Buller would take 50 mins without traffic. We were targeting to arrive at 8:00 to have plenty of time to prepare for our 9 AM ski/snowboard lessons. 9:30 AM - This was the actual time we arrived at the carpark. Unfortunately, Google Maps doesn't take traffic and snow into consideration. Once you enter Mt. Buller, you stop at an area to put tire chains on, then make the very slow, single line, drive up to the car park. The snow was very thick thus cars have to drive with extra caution. 9:45 AM - Walked to Mt Buller Sports Central to claim our B-tags. The staff were kind enough to move us to the 11 AM class as we were already late. 10:15 AM - Changed into our ski/board boots and lined up at the carpark area for the shuttle up to the ski area, while carrying all our gear. 10:45 AM - Arrived at the ski area, and carried our gear to where the lessons were. Our group split up at this time as half went skiing and half went snow boarding. 11:00 AM - By this time, I was exhausted. The combination of the previous day's long drive, walking in ski boots that felt like lead on my feet, and carrying my skis and poles was not a good one. Still, the ski lessons began. 12:30 AM - Walking up the slopes and maneuvering my skis was 10x more difficult than I had anticipated. I don't have much stamina nor arm and leg strength (unhealthy, I know) so my friend and I just about gave up at the same time. How embarrassing. Lol. But I figured it was better than collapsing right there. Haha. 1 PM - Our sweet husbands joined us for lunch and ditched skiing too. We had lunch at the cafe which was extremely overpriced but really, there's no way we could bring packed lunches. So just enjoy. By this time, the lessons ended and the rest of our group were ready to tackle the big slopes and went on the lift to ski/snowboard down the slopes. 2 PM - We and our husbands made the journey back to the carpark to change into walking boots. It felt SO good to take those heavy ski boots off. We then went back up, and just enjoyed the snow - went tobogganing (at the kiddie area lol), rode the ski lifts, walked down the slope, and played with the snow. 4:30 PM - The whole group reunited and slowly made our way to catch the last shuttle at 4:45 PM. 6:45 PM - Just made it in time to return our snow gear as Discount Ski Hire closes at 7 PM. 7:15 PM - Back 'home', dinner, and just hanging out. 10 AM - Check out. Drive to Mansfield town. 11 AM - Lunch at Blacksmith Specialty Coffee. Pricey but good. And wow, I did not expect a cafe like this to exist in Mansfield. Impressed. 12 NN - Drive to Mt. Gambier. 8 PM - Arrived at our friend's house. Dinner. Movie. Called it a night. 7 PM - Home, sweet home. If money is not an issue, fly instead of drive. It will save you SO much time and energy. Spend at least 2 days on Mt. Buller even if you only spend 1 day skiing and the other day playing in the snow. Consider staying in Mt. Buller (they sometimes have promos that make the accommodation quite affordable) and maybe experience living on a snowy mountain even if it's just for a night. ...or stay in Mansfield if you prefer. Get your rental gear from Discount Ski Hire in Mansfield instead of Buller Sports. Doing so will save you around $60. Or if you prioritize convenience over money, rent your gear at Buller Sports Central so you don't have to pack and carry your gear. Make sure you go REALLY early so as not to waste any time. Buy your own snow boots and ski jacket and pants if you plan to go on a snow trip more than once. It'll save you from the smell of the rental ones. Bring a scarf to wrap around your face for when the wind or the snow blows. Don't forget the tire chains for your car and make sure you have a car in a condition capable of going up a snowy mountain. What could be worse than having your car die on you in the snow? At the end of my ski session, I thought I should have picked snow boarding so I wouldn't have had to worry about coordinating with the 2 poles, ski boards, and heavy boots. Only to find that my friends who went snow boarding wished they picked skiing because it was so hard to stand up on the board (as you begin sitting on the ground). At the end of the day, we all had tons of fun with no regrets. The choice is really up to you. 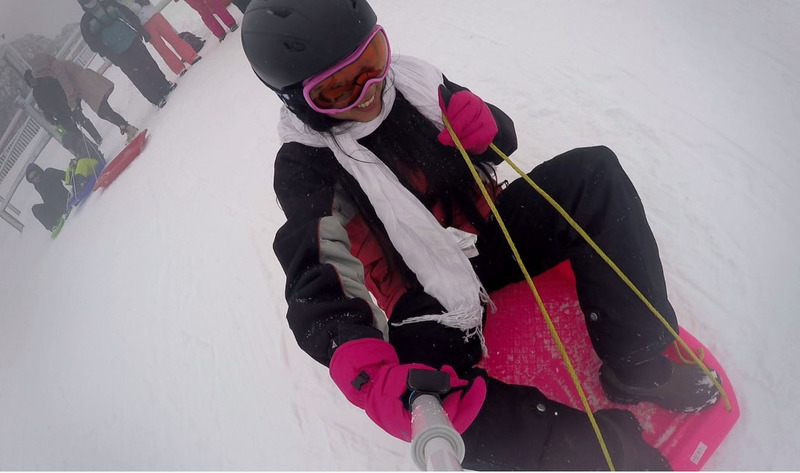 Have you been snow boarding or skiing before? First time in the snow? How fun! Skiing can definitely be tricky to get the hang of, but I'm so glad to hear you still enjoyed your trip. I love skiing, it's so much fun' ! Even if it was a bit of a tiring trip and it was tricky to ski, it looks like you still had a lot of fun! :) I've never been to any of the snow fields in Australia - it would be fun to experience it. Whatta fun, loved the adventure report. I am so jelly. Wow what a fun trip! Great post! So much fun and adventure. Looks like you had a lot of fun! Looks like so much fun!! 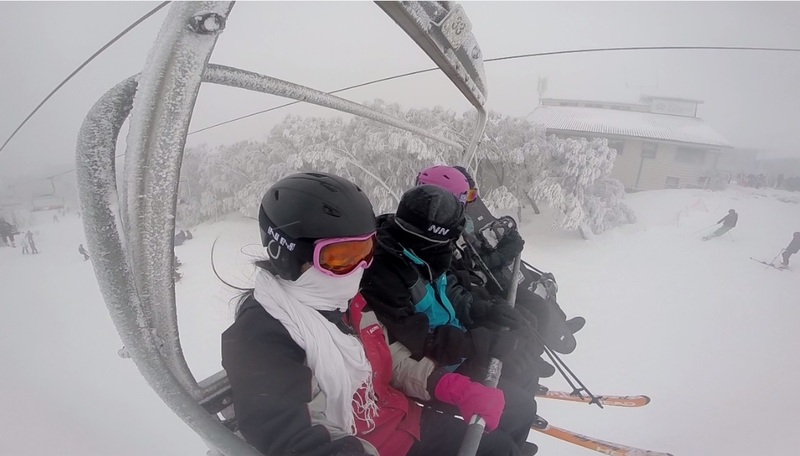 If I ever go to mt Buller, this post will be my guide! Ohmygoodness this looks like so much fun. I love when the snow is all pristine and pure, it's better than that sludge you get walking to the shops in winter, if you know what I mean? Mt. Buller looks awesome. I have to go skiing some day. Cant wait to experience snow myself. Good you had so much fun. Wow, such a great experience!!! Cool pics babe! Oh darling thank you for share so amazing pics about your trip sounds so amazing and beautiful. I hope someday see the snow by myself because lookssuper pretty. Your looks super cute in all your pics. How fun! SoCal is so friggin hot right now I wish we had snow! 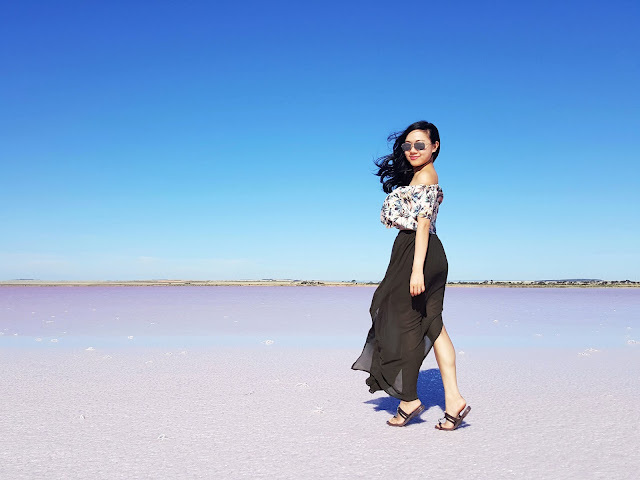 Thank you for the blog visit babe, hope to see you back to check out my EuroTrip honeymoon travel diaries! Oh wow that sounds like so much fun! I've never been skiing though I want to try. I hear that it is definitely harder than it seems. I can't believe that was your first time seeing snow! We get snow every once in awhile during the winter in Seattle. Not as often as we would like, but every time it snows it feels like a magical moment. Glad to hear you got to experience the joy of snow! Not going to lie, when I saw these photos I got terrified of the thought of winter and snow coming back (I'm from Canada) since I want to enjoy this hot summer as much as possible! Looks like you had a lovely time though! Amazing pictures!! Such a cool experience. How exciting! I've never experienced snow before, but it must be amazing! 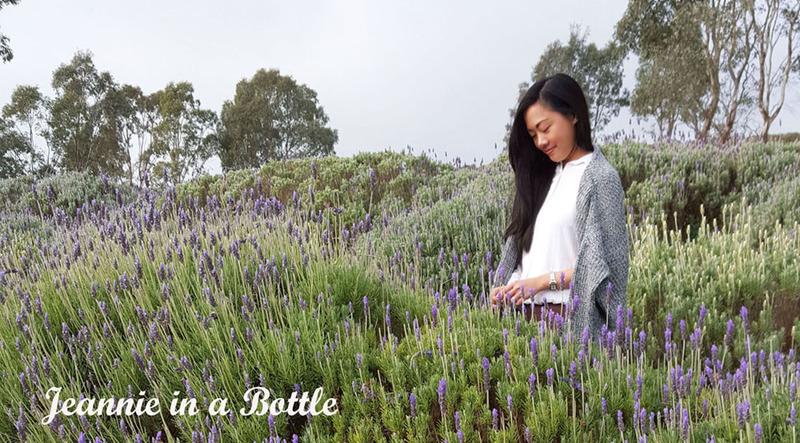 Thank you for sharing this detailed and interesting post! I've never gone skiiing but nevertheless this was such an interesting read! Pardon my ignorance, I had no idea that it was possible to go skiing in Australia! It looks like you had a great time. How exciting it must have been to experience snow for the first time! And what a way to do it by skiing. I've never actually been before even though I'm surrounded by mountains and snow lol. That looks really fun! it's hot here in Manila now, but your photos conjured up memories of our winter experience at the border of Swiss Alps and Milan, Italy. Aww the trip looks amazing, I want the snow!! It's hard to think of skiing while I'm at the end of summer here in Chicago, but this place looks great. Thanks for sharing! So cool to document your first time experiencing snow! It looks like you had fun! NEW WISH POST | Beauty: Indispensable After Summer. So glad you got to experience snow and had some adventure with it. Skiing is so not my thing and I will probably be stuck on the bunny hill forever! Looks amazing! I have never skied before. It's great that you got to experience snow for the first time Jeanne! Sorry to hear that the skiing didn't work out as well as you'd hoped. I'm glad to hear you had fun overall, especially playing in the snow. The first experience is always to remember and you had so much fun! So happy you had fun in the snow, cute pictures hun! Congrats on your first snow experience! It sounds like you totally did it right and got the full effect! These pics are getting me so excited for winter right around the corner. I learned snowboarding a few years ago and I can totally relate. It looks so easy, but it is so exhausting. At least for the first few years.